Narrated by Jehanne Rousseau, CEO of Spiders Studio, this video shows new gameplay sequences and tells us more about the game and its origins. 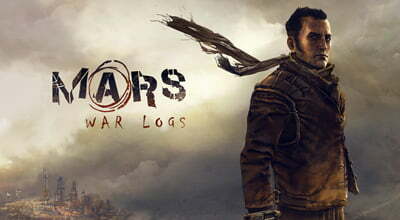 We learn how Mars War Logs was born and how its talented and passionate developers gave a truly unique soul to this project they hold very dear. After giving us a few details about the setting of this game that presents the Red Planet as we have never seen it before, we learn why Mars War Logs is a fully-fledged RPG, in which player choices leave their mark on the story and its unfolding. Spiders Studio really wanted to offer total freedom to the players who will have to face the consequences of their decisions through dialogues, through choosing their skills, with their behaviour toward their companions, or even through the equipment and upgrades they decide to craft. Players will be forced to take responsibility for their actions: for example, slaying human opponents after a battle will be an advantagous source of income… but will also make many characters wary of you! Get ready for your trip to Mars, in May on PC, and very soon on Xbox LIVE and PlayStation Network.